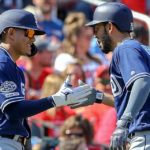 The Padres won their third straight game Wednesday night, defeating the reigning American League Champs. The Friars swept the reigning World Series Champion Cubs earlier in the year, and have a chance to do the same to the Indians tomorrow. 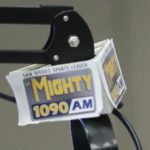 Luis Perdomo started for the Padres and went five innings, giving up two runs (one earned) striking out four, and walking none. Perdomo won his third straight start. That is much deserved for the young pitcher who didn’t get his first win until his 11th start this year. Trevor Bauer started for the Indians. Padres pitching surrendered 14 hits, but minimized the damage, allowing only two runs. In the bottom of the first, the Indians were threatening to score the games’ first run, when Lindor doubled off Perdomo with one out. He advanced to third after Michael Brantley grounded out. Edwin Encarnacion batted next and worked a full count. Perdomo, who doesn’t have a finisher pitch, struck out the power hitter on a two-seam fastball. The Padres loaded the bases in the second inning with only one out. A rare Asuaje strikeout followed by a Luis Torrens groundout ended the inning. Cleveland struck first in the bottom of the third on a Francisco Lindor RBI single. 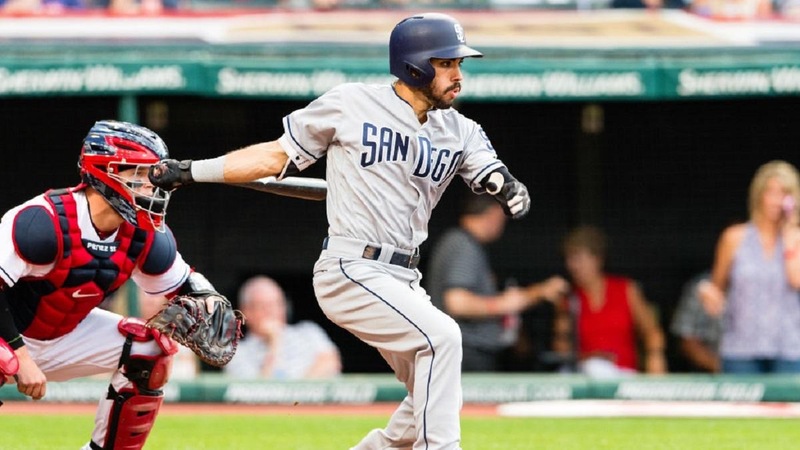 The run ended the Padres’ stretch of 11 innings straight of shutout ball against the Indians. 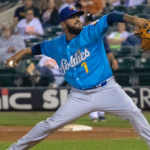 Erik Gonzalez led off the inning with an infield single, and advanced to second on a throwing error by Cory Spangenberg. The inning ended after Perdomo got Michael Brantley to ground into a double play. The Friars went on to score runs over the next four innings. 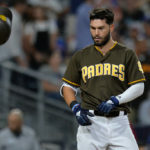 The Padres tied the game at one in the fourth on an RBI single from Carlos Asuaje. In the 5th, Pirela hit a deep triple to score Luis Torrens. Pirela ended up scoring on an error by shortstop Lindor. Carlos Asuaje got his second RBI single in the 6th inning, putting the Padres up 4-2. The Padres struggled with hitting with runners in scoring position this inning. 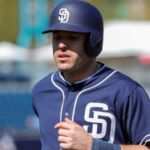 After a Torrens sacrifice bunt, the Padres had runners on second and third with just one out. Pirela popped out, and Margot followed by striking out. Ryan Buchter replaced Perdomo in the 6th. 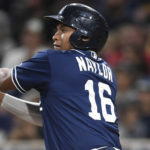 After allowing two one-out hits, rookie Phil Maton came in for Buchter. The youngster escaped the jam, striking out the next two batters, Jason Kipnis and Erik Gonzalez. 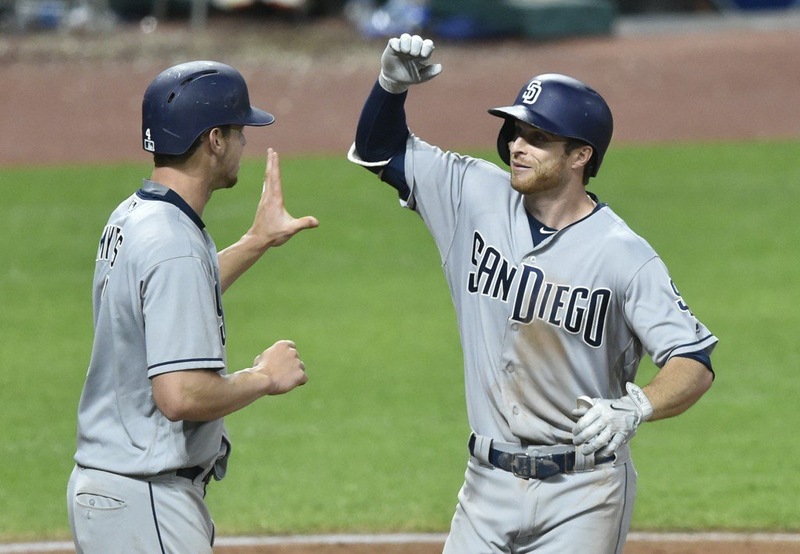 In the seventh, Cory Spangenberg followed a Wil Myers double with an opposite field home run putting the Padres up 6-2. It was the first home run by either team in the series. 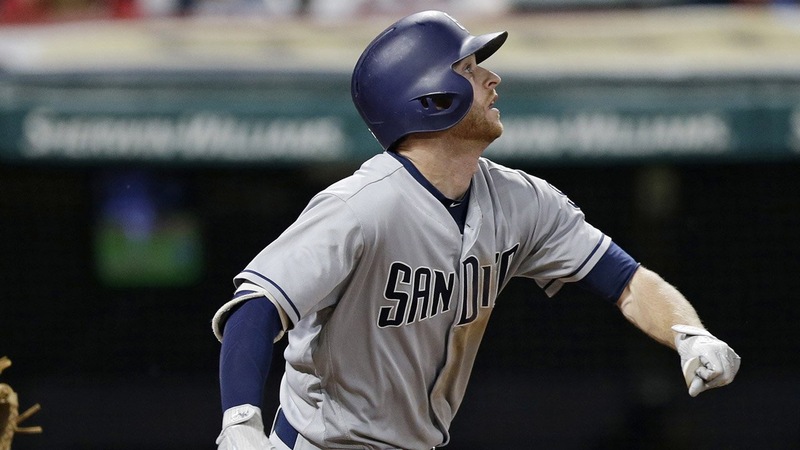 Four of Spangenberg’s five home runs in 2017 have been against an American League club. In the bottom of the 8th, Brad Hand gave up a single with Jose Ramirez on second base. Hunter Renfroe showcased his cannon arm yet again, by gunning down Ramirez at home plate to save a run. Craig Stammen pitched a perfect 9th securing the Padres’ victory. Carlos Asuaje had his second three-hit performance of his career, going 3-4 with two RBI. Asuaje is now batting .316 on the year. He also looked great on defense. Hunter Renfroe had his 8th assist of 2017 with his rocket throw to home. 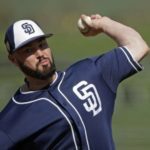 Runners are going to stop testing Renfroe’s arm sooner or later. Phil Maton pitched 1.2 scoreless innings on Wednesday. The rookie has been sensational since being called up on June 11. He has a 1.74 ERA over 10.1 innings. Jose Pirela had a three-hit night, raising his average to .304. Pirela has been great, receiving everyday playing time. Padres turned two double plays Wednesday night. They currently lead Major League Baseball with 96 in 2017. After striking out four times yesterday, Myers had two more on Wednesday, bringing his season total to 108. Padres look to go for the sweep over the Indians tomorrow at 4:15 pm. Dinelson Lamet gets the ball for the Friars against Josh Tomlin for the Indians.